I finally managed the impossible to get all my friends available on the same day for a dinner catch up!! Don't worry, I have given myself a pat on the back, I totally deserve it! And we got to go to a lovely restaurant called The Real Greek, which is a chain so there are plenty of locations but we went to the Stratford's Westfield one because it is so easy to get home from. We all went in on the meal for £10 even though the Westfields' Food Offers Booklet, of which there is plenty, has a voucher for 25% off! So it shows the £10 deal was pretty exceptional and I don't think anyone regretted it. You get to choose two courses from starter, main or meze and within each course there are a whole bunch of other decisions to make, it was tough, we took a while. Everyone went for starter and meze I think mainly because you get to try a few more dishes and who doesn't love that!? 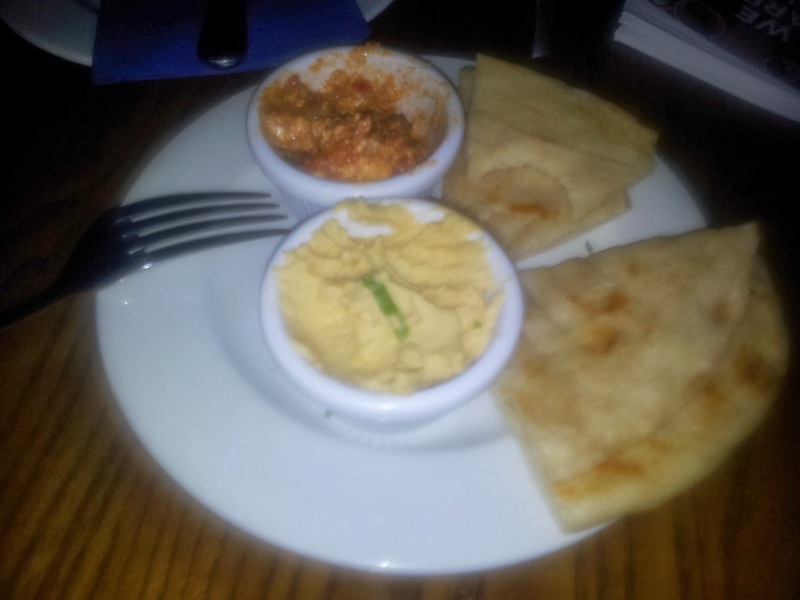 So I went for the humus and htipiti with the warm flatbread. The humus was lovely, homemade, filing and tasty and the htipiti was interesting, made like a less watery salsa with some feta cheese crumbled in, definitely worth a try but if I had to choose again I would have gone for the melitzanosalata it was delicious! Then I made some really good choices if I do say so myself. I chose Nikos' Meatballs, served with raw onion and an incredible tomato sauce on top of a creamy yoghurt it was refreshing and hearty and the sauce went really well with my chips which I caved and got as my side. 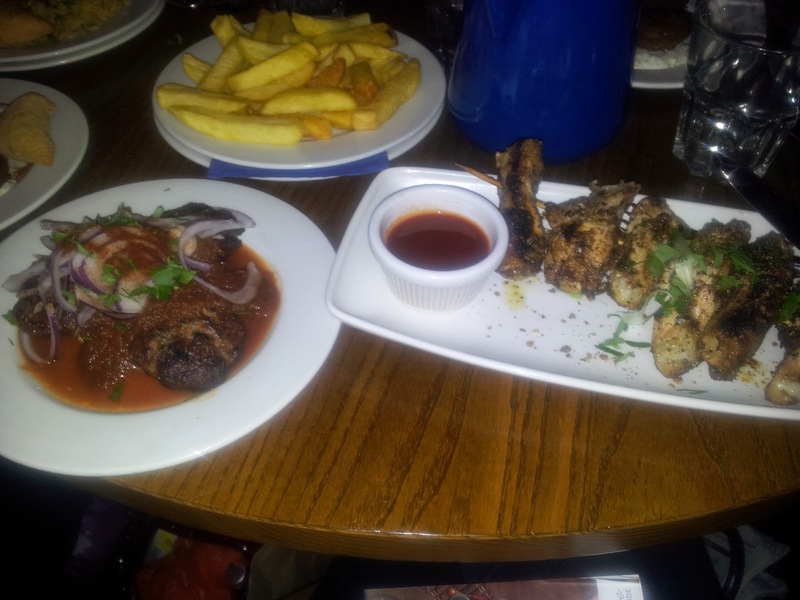 For my other meze I got the chargrilled chicken wings and I got messy! Pretty much what it said on the tin, there were actual chargrills! They came on a big skewer with a pot of a bbq-y sauce to dip in and they were soooo tasty everyone tried some. Descriptions here. Next, unfortunately away from the £10 menu, I went for baklava because you can't go greek without getting baklava, or at least I can't, I have no will power for that. I have to say I was a little disappointed after the rest of the meal and after having so much baklava in the past I know what I like and what I don't. This was made with walnut which is off to a bad start but still worth a try. I've had a cashew one that was incredible but pistachio is where it is at for me. It came smothered in honey so if the filo was crisp before it didn't make it to the table crisp and they only had the one layer of crushed walnut??? I like a baklava that is only sticky at the bottom, that has crispy filo and that has a couple layers, thin, thick, whichever of nuts preferable pistachio. 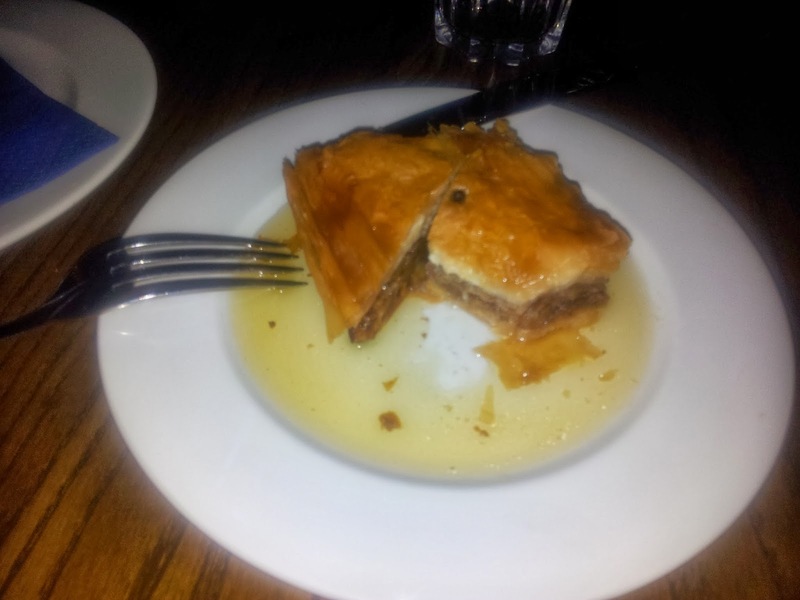 I would however recommend the baklava at a store in the Great Eastern Market called Mezze they do a big variety and they are all amazing and for The Real Greek I think I would try their Greek Sundae instead. Overall though I can't wait to go back and try something else! I would recommend it to anyone.